Each of our clients has a unique set of needs (based on age, risk tolerance, income need, etc.) and an asset allocation model designed specifically to meet those needs. 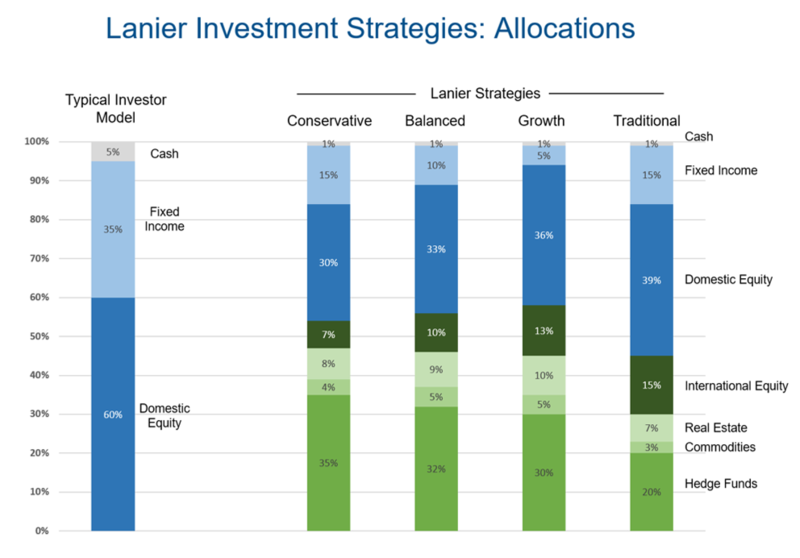 Consequently, actual client investment models can and do vary from the allocation percentages listed above.